You’re special…that is why you should choose full-time sales professionals who specialize in Hernando County real estate, who can analyze your options, anticipate your needs and – most important – deliver results. We understand that clear, prompt communication is paramount in this process. You’re busy and you don’t want to spend time chasing after an agent. If you’re selling, you want prompt feedback about the last showing, and an update about how we’re marketing your property. If you’re buying, you want the reaction to your last offer or the results of an inspection. 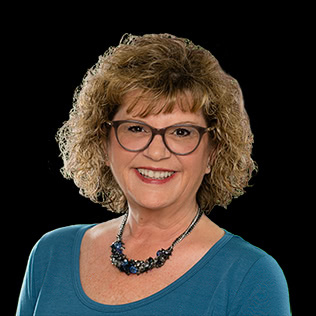 Gail’s real estate career began in early 1990 as a NY State Certified General Appraiser and it didn’t take long for Gail to discover her love of the real estate industry. 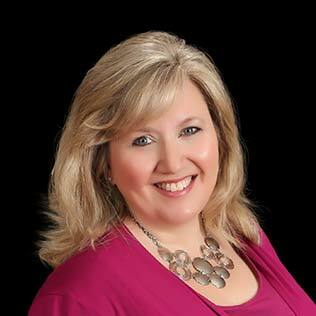 She began her real estate sales profession with Century 21 Alliance Realty in Spring Hill, FL, in 2001. Not long thereafter, in 2003, THE Gail Spada TEAM was founded. Currently consisting of 3 full-time REALTORS and expert support staff, their consumer-minded approach affords a competitive market edge to the TEAM’s sellers and buyers. The TEAM’s sales production levels continually rank #1 within Century 21 Alliance Realty, year over year. Equally important are the TEAM’s “home sellers” and “home buyers” customer satisfaction ratings, which are recognized at the highest level of customer service within Century 21 Corporate standards. The TEAM’s hundreds of satisfied buyers and sellers say it all. 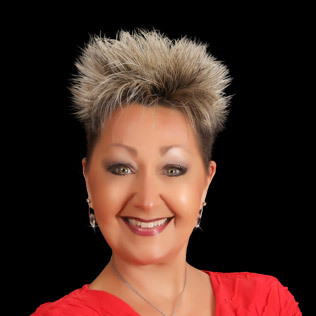 As a REALTOR professional, she is a member of the National Association of REALTORS®, Florida Association of REALTORS®, Hernando County Association of REALTORS® and the West Pasco Board of REALTORS®. GRI (Graduate REALTOR Institute) – This designation is reserved for those real estate professionals who have made the commitment to provide the highest level of professional services by securing a strong educational foundation. ePRO – Endorsed by the National Association of REALTORS®, this certification instills the importance of social media, online marketing and technology for the benefit of home sellers and buyers. AHWD (At Home with Diversity) – Offered through the National Association of REALTORS®, this certification lets home sellers and buyers know they are working with a REALTOR® who is trained to meet the needs of the county’s increasingly diverse population. SFR (Short Sale Foreclosure Resource) – This certification explores the framework for understanding short sale and foreclosure transactions. OICP (OwnAmerica Investment Certification Program) – This certification focuses on understanding real estate principles for building “long-term wealth”, using real estate investments as “long-term assets”. Tina began her real estate career with Century 21 Alliance Realty in Spring Hill, FL in 2004 as a TEAM Member of THE Gail Spada TEAM. Originally from Chicago, Tina and her family relocated to Hernando County as they felt Spring Hill was ideal based on its central location to the Beaches of Clearwater and St. Petersburg, Tampa International Airport and Disney World in Orlando. While balancing family and a full-time real estate career, Tina’s nurturing and consumer-minded approach has helped hundreds of satisfied customers discover their perfect Florida dream home. Along our Nature Coast of Florida, Tina’s expertise of the local geographic areas includes Hernando, Pasco and Citrus Counties. 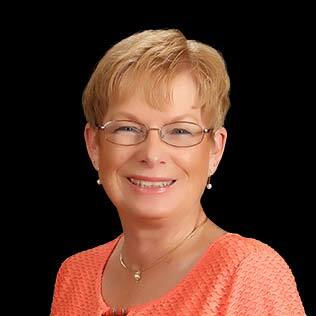 Within Hernando County, Tina has years of intimate knowledge of the local real estate market in Spring Hill, Brooksville, Weeki Wachee and Hernando Beach. Her track-record of sales over the years within Hernando County’s premier gated golf communities, which includes Silverthorn Country Club, Glen Lakes Country Club, Southern Hills Plantation, just to name a few, is time-tested and extensive. Tina is also equally experienced in the Brooksville, Weeki Wachee and Hernando Beach markets. Over the years, many of Tina’s customers have hailed all the way from California to New York and everywhere in between, as well as from Canada, The United Kingdom and Germany. Whatever your wish-list, Tina is excited by the opportunity of helping you “uncover your treasure”, here in Hernando County, along Florida’s Nature Coast, and she looks forward to meeting you. Nancy’s geographic areas of expertise of Florida’s Nature Coast includes Hernando, Citrus, Pasco, Hillsborough and Pinellas Counties. 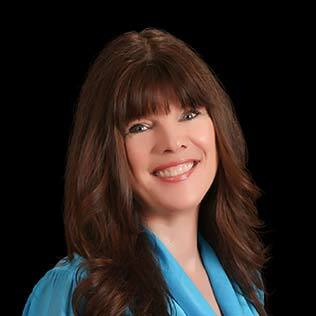 Her years of experience in the local real estate markets within Hernando County of Spring Hill, Brooksville, Weeki Wachee and Hernando Beach is wide-spread and vast. Within in the premier gated golf communities of the county, including Silverthorn Country Club, Southern Hills Plantations and Glen Lakes Country Club, just to name a few, Nancy’s sales track-record is extensive. She is also equally experienced in the Brooksville, Weeki Wachee and the coastal Hernando Beach markets. Over the years, many of Nancy’s customers have hailed all the way from California to New York and everywhere in between, as well as from Canada, The United Kingdom, Germany, Switzerland, Spain and Vietnam. To further round out Nancy’s commitment and experience, she expanded her market reach to include the “investment side” of residential real estate thru obtaining her OICP Certification (OwnAmerica Investment Certification Program) which focuses on real estate principles for building “long-term wealth” using real estate investments as “long-term assets”. Doranda joined THE Gail Spada TEAM in August 2015 as an administrative assistant. With 30 years in the insurance industry, as both an agent and property claim adjuster, Doranda brings years of housing industry knowledge and experience with her to the TEAM. Originally from Daleville, Indiana, Doranda married her husband, Bob in April 2015, after a 10 year long-distance romance. In 2012, they finally came together under one roof in Silverthorn Country Club in Spring Hill. In July 2015, THE Gail Spada TEAM successfully sold their Silverthorn villa in 11 days and quickly found their new home, also within Silverthorn, which they promptly named “Our Sanctuary”. Being part of Gail’s TEAM offers Doranda an opportunity to share her vast knowledge as well as learn new skills to help support the efforts of all TEAM members in their commitment to quality customer service!